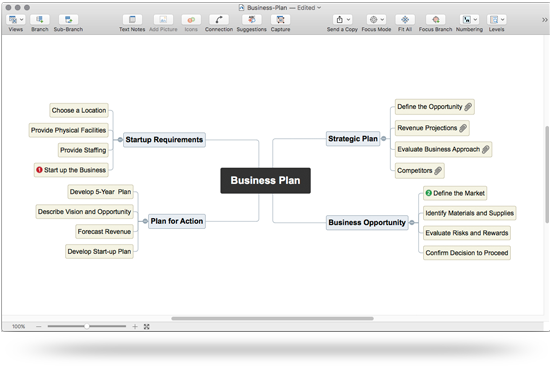 MatchWare proudly introduces MindView 7, the FIRST choice in mind mapping for business and educational use. 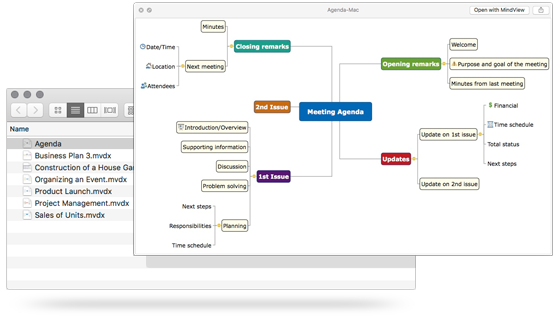 With much clearer, intuitive, high-resolution user interface, much deeper macOS integration, superior Import and Export options, great new Capturing feature, and enhanced project management features, MindView 7 redefines mind mapping and takes productivity to the next level. If you are a serious mind mapper, MindView 7 will illuminate your ideas like never before! 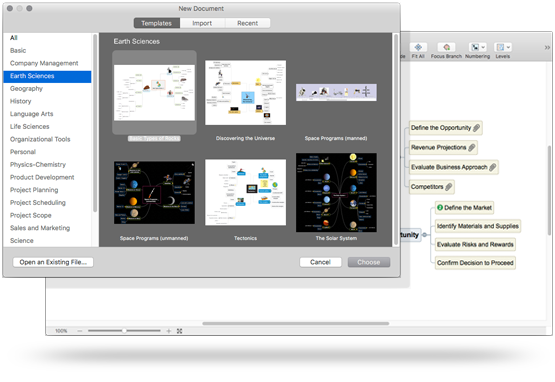 MindView 7 includes the new interface similar to Apple Pages and Keynote, giving users a familiar environment while working on their mind maps. MindView 7 supports great macOS features to provide the best user experience: Full Screen, Split Screen and Mission Control modes. With high-resolution icons, intuitive menus, and a flexible animated UI, MindView 7’s new interface guarantees the most intuitive mind mapping experience available. With new design styles for Map, Outline, Timeline and Gantt views, there’s no limit to your creativity. New map styles are sharp and crisp making them ideal for presenting on a projector. With more than 180 high quality images added to our popular Pictures Catalog, users can quickly create eye catching and engaging mind maps that have never looked better. And highlight your MindView projects with a handful of new Branch Icons. This great addition to MindView 7 allows making research and documentation faster and easier than before. Collecting images and texts from other application has never been so easy. Moreover, you can preview and edit the captured contents before inserting it into mind map: cropping, rotating and enhancing images, formatting texts. 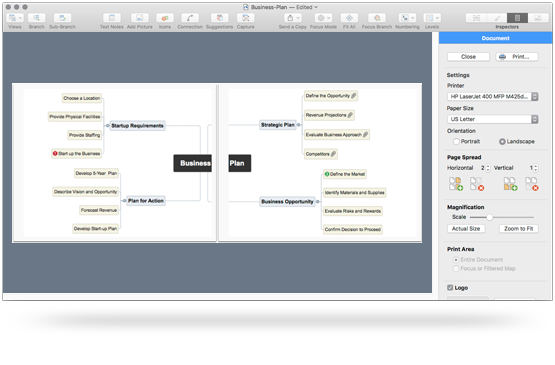 With Capturing you can prepare mind maps much quickly, focusing only on your subject. Audio Recorder has been redesigned to have the latest system look. TextEditor is now embedded into document window for better user experience. Spotlight plug-in allows search inside MindView documents and QuickLook plug-in make it possible to preview their contents without opening the MindView application. Version Browser mechanism allows to revert contents of your document to earlier saved version, so you’ll never loss any of your editing. New Share feature supports systems plug-ins for sharing MindView documents as texts and pictures via e-mail, Facebook or any other registered system services. 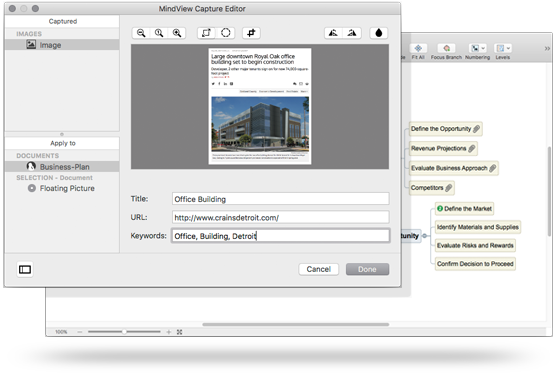 MindView 7 now supports Import of Freemind and MindJet MindManager documents. There are improvements of compatibility with the latest MindView 7 for Windows. Visualizing the branch hierarchy using a numbering schema is one of MindView's most coveted features, and users can now benefit from exporting the document's selected numbering schema directly to PowerPoint. 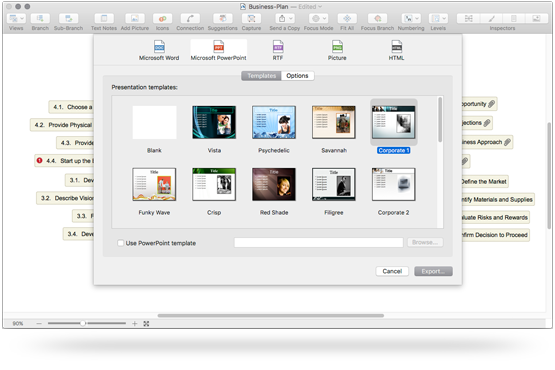 The PowerPoint export also includes Alt tags for images to provide a textual alternative to visual information. 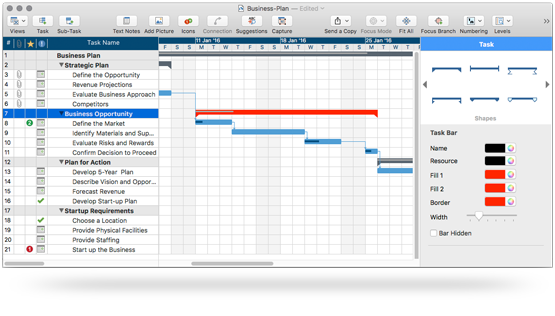 Gantt View has various improvements and optimizations, including Gantt bar formatting, new Task bar shapes, zooming and printing enhancements. 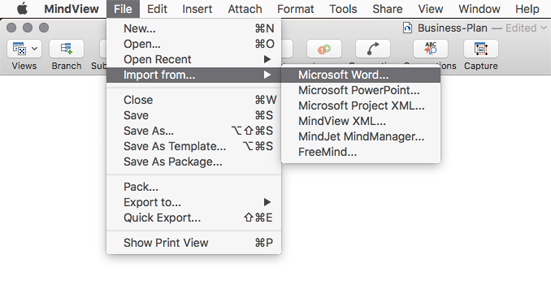 Print View now supports Custom Logo, Printer and Paper settings to print you mind maps exactly as you want. It’s the little things that matter, and the redesigned Floating Comment helps you add important details to your MindView projects. 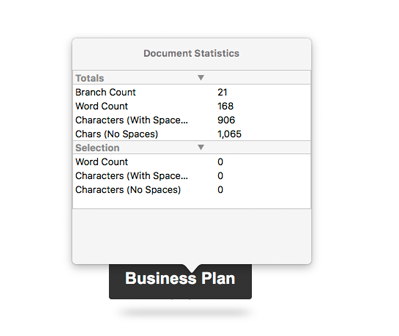 The last but not least that in MindView 7 you can see statistics - words and characters count for the whole document as well as for selected branches. Upgrade to MindView 7 Now!